The human body is constantly producing two types of bones cells – one that makes new bones and one that reabsorbs bone back into the circulation system. Bone, like any living organism, adapts to its surroundings. 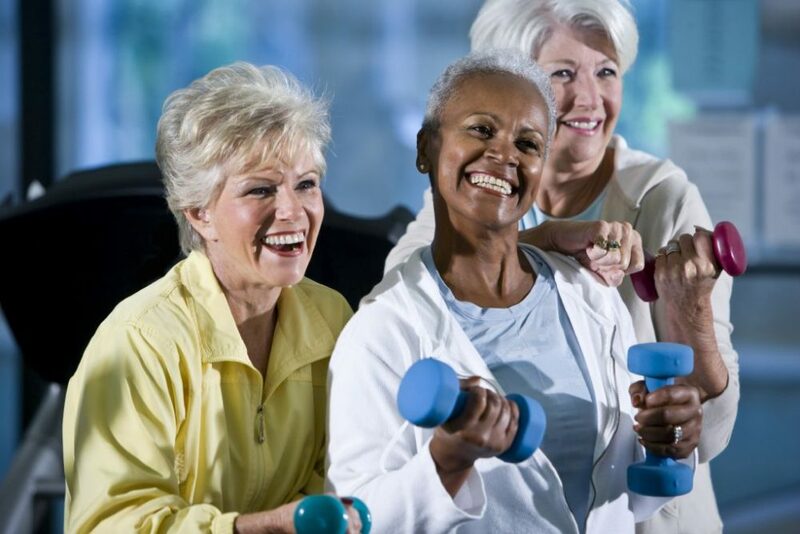 If it’s not being used to its potential, it will digress and be reabsorbed back into the body – a case in point not only for those wanting to slow the bone loss process, but also an important factor to be considered among women who are inactive. When women (middle-age) begin to have erratic periods (usually in their mid-forties), it is a sign of peri-menopause, meaning that their body is getting ready to stop producing estrogen. It is in this five-to-eight-year time period that bone loss increases by a factor of 10. Women lose bone mass so much during that window of time, and so often they don’t even realize it. Amenorrhea in young women is triggered by a low body fat percentage (caused by an eating disorder or extensive athletic training) and can cause a detrimental loss of bone density which is irreversible through natural processes. Regular weight-bearing/impact exercise can help people achieve their peak bone mass during young adulthood and help maintain their bone strength throughout life. Other factors adding up to osteoporosis are geographic and socio-economic background. Years of studies have shown that the bones of white women are traditionally less dense than those of African American women. And while Asian women are usually smaller and have bone density similar to white women, for some unknown reason they too have lower levels of osteoporosis. Also, being thin for heart disease prevention is great, but when it comes to osteoporosis it turns into a risk factor because it means that the bones over time have been carrying around less weight and have lost more strength, unlike their heavier counterparts. A great way to counter act that loss is to do weight bearing exercise. 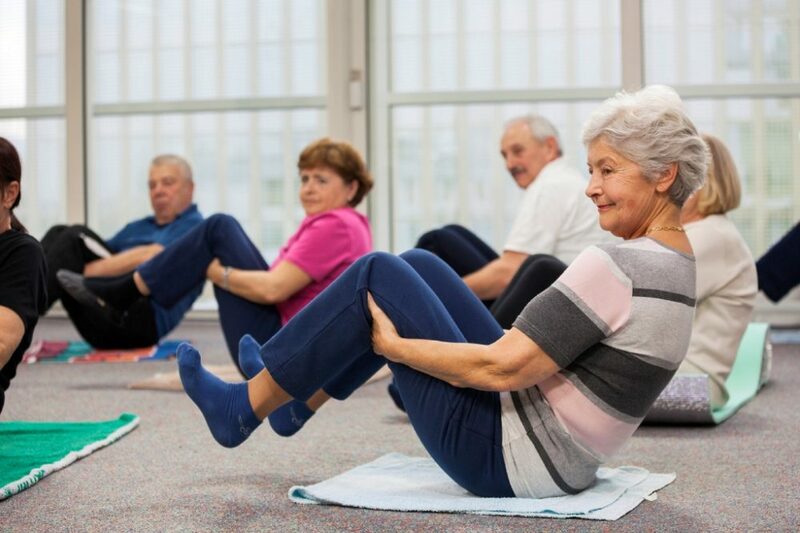 Weight-bearing exercise stimulates tissue growth in bone and muscles, strengthening the body’s structure. 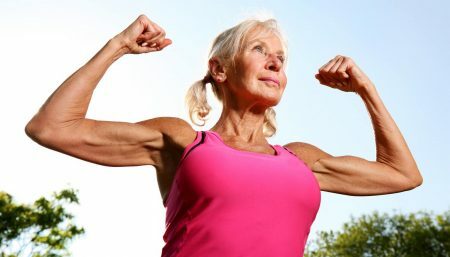 A stronger skeleton reduces the risk of osteoporosis, arthritic joint pain and other bone conditions. Exercise usually involving the use of resistance machines are classified as weight-bearing exercises. The machines make you move in such a way that the individual muscles can be targeted using a pre-set weight, which can be changed to suit the individual. Free weights, such as dumb bells, exercise balls and bands are used in much the same way. 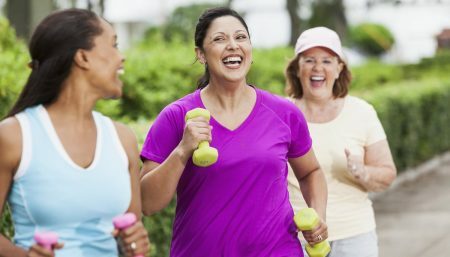 You can also do weight bearing exercise such as walking, jogging, aerobics, stairmaster to strengthen the bones as they are constantly challenged. The degree of weight bearing might vary in each one of these exercises. A good plan is to get 30 minutes of weight-bearing exercise every day. If 30 minutes at a stretch tires you out, or if you can’t seem to find a 30-minute stretch of time regularly enough, do not worry!! It’s O.K. with your bones if you divide your routine into shorter segments. Many women find three 10-minute “mini-walks” to be something they can do. NOTE: Muscle weighs more than fat, so it is possible to become slightly heavier if you follow a regular weight-bearing exercise program. Remember some is good, more is better.